Etonic golf shoes allow you to spend a lot of time on your feet. Founded in 1948, Etonic golf shoes where developed by the Charles A. Eaton Shoe Company founded in 1893. Today, Etonic’s mission is still the same...to build the most comfortable and highest-quality golf shoes on the market. Etonic Golf Shoes are water-resistant and lightweight. The leather look uppers have a rich appearance and are easy on the feet. The Etonic golf shoes repel rain and dew, while a breathable DriTech waterproof membrane lets your feet ventilate. Etonic golf shoes have a specially designed removable insole to put cushioning where you need it most. Etonic golf shoes give you superior stability and traction. Etonic’s greatest strides have been in the golf shoe arena. The Dry-Lite AC 500 golf shoe is easily Etonic’s most comfortable offering. After walking 18-hole rounds you’ll be glad your feet are in Etonic golf shoes. Etonic’s golf shoe gives you unbelievable comfort, right from the start. A cushioned suspension innersole is both lightweight and flexible eliminating the need for stiff inserts. 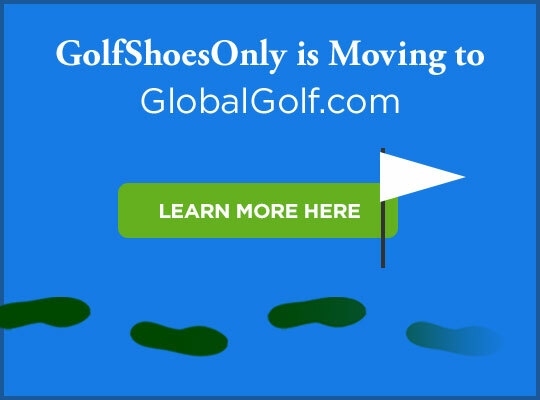 In these golf shoes so your feet can enjoy the walk. Every Etonic shoe sports a microfiber lining that hugs your foot. Etonic golf shoes give you firm footing with a wide platform and flared heel to keeping weight on the inside of your back foot. Etonic golf shoes have lightweight graphite heel stabilizer to provide excellent stability.